Get the most out of your visit to Swaziland's Hlane Royal National Park with this guided day tour via an open safari vehicle. 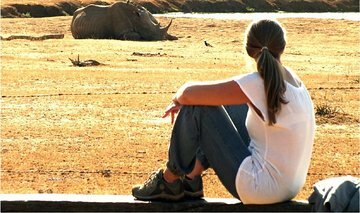 Relax on the ride from Maputo, then enter the park to track the white rhino and other animals on both morning and afternoon game drives. Learn about the parks's history, flora, and fauna through guided commentary. A light breakfast, lunch, and help with border-crossing formalities are included to make this a stress-free tour.